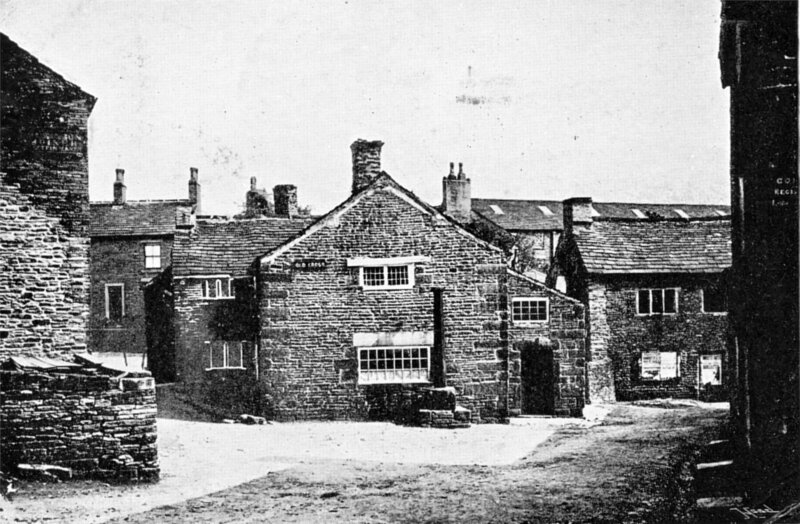 Between 1290, when Glossop was granted a market charter, and 1839 the Old Cross marked the original site of the market place for the town. The market place would have originally been much larger, capable of holding large livestock fairs. It is believed it once straddle Church Street and into what is now All Saints (Church of England) churchyard. As the traders began to prefer to work from shops, rather than open stalls, they built their houses on the market ground where they held rights. In the early 20th century the cross was moved from its original position against a house (see photo), and placed into a newly central position. When the cross was moved it was placed on a new plinth to protect it from iron-shod cartwheels. A Celtic-style cross head was added to the shaft in 1912 to commemorate the Accession of King George V in 1910. Over the years the tarmac road surface was raised and in 2012 a car reversed into the cross, knocking it over. 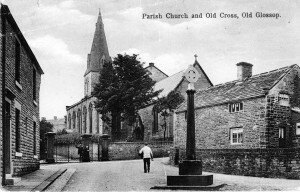 In 2013 the plinth was reset into the road and the cross re-erected.